Escape into the restorative nature of Muskoka as you immerse yourself in a seven day summer Yin Yoga retreat! This is your opportunity to deepen your Yin Yoga practice, connect with nature and remove any barriers that are holding you back from achieving your dream life. Immersed in the heart of Muskoka, and close to the tranquil waters of Lake Muskoka, you’ll explore transformation and relaxation that will give you the ability to live in a blissful state in every moment. Draw from the healing energy and nourishing surroundings and reconnect with your purpose. You’ll have the opportunity to practice Yin Yoga with some of the best teachers in the world, who will support and guide you, regardless of your current ability. 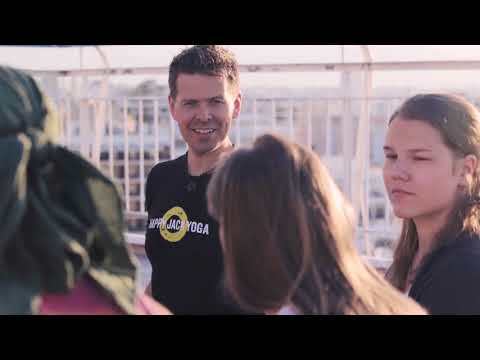 Discover a range of personal growth strategies and yoga methodologies, which, combined with the unique Happy Jack Yoga system, will take you on an empowering journey of self-discovery and transformation through an immersive learning process. Become a more radiant and centred version of yourself, ready to live and create your dream life. This is your time. Are you ready? We are committed to your success. If after the first two days of this program you feel that you have not received value, we will refund your full tuition amount. No questions asked. We are thrilled to invite you to join us for this incredible Canadian Yoga Retreat, deeply rooted in the wisdom of Yin Yoga! Hosted in the hometown of Happy Jack, surrounded by the stunning Canadian nature, and exposed to an extraordinary faculty of teachers and leaders. We have facilitated multiple yoga teacher training programs at this location, and are ecstatic to be returning again in August. In addition to our amazing curriculum, get ready for some extraordinary Canadian cultural experiences that you will never forget!